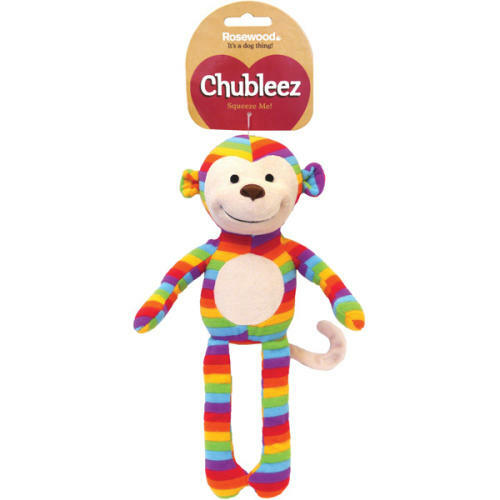 Rosewood's Sonny Monkey is a colourful addition to the Chubleez range. This soft plush features a crinkle and a hidden squeaker to excite your dog, bringing out their wild side. As a soft toy, Sonny Monkey is also great for snuggling with at bedtime, and is sure to become your poochy pal's best buddy! This to is not indestructible. Please supervise your dog during play and remove the toy once it becomes worn.